As a form of treatment for cancer, radiation has been around for over 100 years. In 1896, Wilhelm Conrad Roentgen, a German physics professor, gave a lecture titled “Concerning a New Kind of Ray” that immediately brought excitement to the world. During his presentation, Roentgen introduced the X-ray to the world. X represents the algebraic symbol for an unknown quantity. Within a few months, scientists and physicians were figuring out how to use the X-ray to diagnose cancer, and within 3 years, radiation was already being used to treat cancer. Roentgen received the first ever Nobel Prize awarded in physics. In the early 1900s, radiation was found to cause cancer, as well as to cure it. Back then; many radiologists were experimenting with radiation on themselves daily. They would radiate their arms to produce a pink reaction or burn called an erythema. This “erythema dose” was supposed to be the proper amount of daily radiation to cure cancer. Later, many of them developed leukemia from their over-exposure to radiation. Science and medicine have come a long way since then. Now, we have a much greater understanding of radiation’s effect on the human body and we can use it to successfully cure non-melanoma skin cancer at extremely high rates. 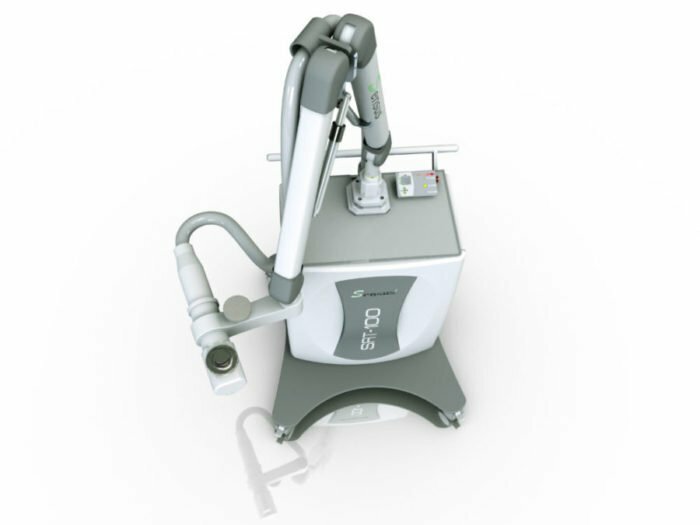 Sensus Healthcare is proud to offer the SRT-100™, a revolutionary machine that boasts a 95%+ cure rate for basal cell and squamous cell carcinoma utilizing Superficial Radiation Therapy. Interested in finding out more about Superficial Radiation Therapy for your patients? Contact Sensus Healthcare today to learn more about the SRT-100™ for your practice or hospital.